Wednesday September 20, 2017 we will be blessed with a New Moon in Virgo bringing good fortune & shifting perceptions along with renewed enthusiasm & a dash of the unexpected. New Moons are always a time of beginnings & fresh starts, this lunation is positioned (along with some other cosmic happenings) to offer adjustments to our path, alternatives to our process & alterations of our progression to allow for better outcomes. 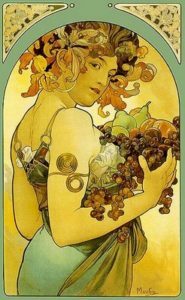 The energy of Virgo is grounded, nurturing, creative & supportive. 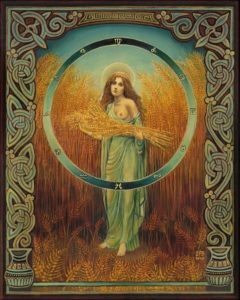 There are many ways the aspects of this earth sign can help us embrace change as she is strong in organization, determination, thoroughness & attention to details. Hard working Virgo is all about rolling up your sleeves to get the work done & having a sense of satisfaction in completing a task. This is also a sign that encourages us to pay attention to our bodies, our balance between work & play, our mental stability as well as our health in general so this is likely to be where we are going to feel compelled to make at least some minor adjustments. Expect to feel renewed in spirit, refreshed in energy & reinvigorated in purpose. This is a time when it is important to go with the flow, to be flexible & adaptable. Don’t get stuck in the “plan” or the way you expected your road to go because this Virgo New Moon wants to show you where you can modify & optimize your efforts. If you resist or become too rigid in your thinking, you will end up missing out on beneficial opportunities & make things much more difficult for yourself. We are provided at this time the chance to make course corrections that will get us what we want more efficiently. 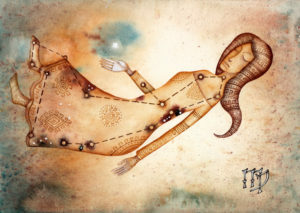 Trust in the Virgo Moon, she wants to show how to be better, get there quicker & feel stronger while you journey.